Organisation - Half the group of players start with a football, the other half don&apos;t. Focus is all around devloping players confidence and ability on the ball. Players without a ball - Think of ways to win a ball and then look after it. Who started with a ball & more importantly whos still got a ball ? Who lost their ball but managed to win another ball and look after it ? 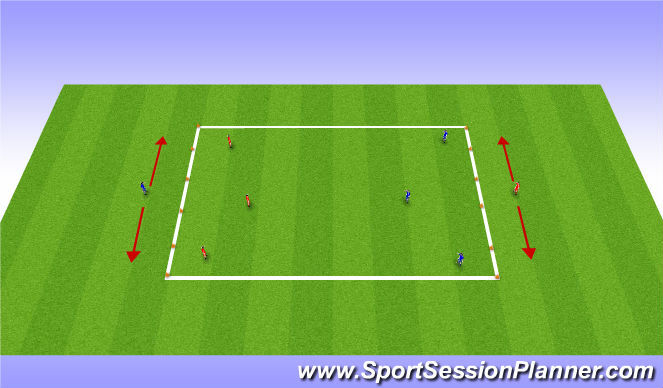 Organisation - 3v3 game teams can score in any of the 3 gate goals opposite them. Players score by dribbling through the gates. P - 3 balls, players now play 1v1 and can still score in any of the 3 gates opposite. - Be Stong in tight areas , Use your body to shield the ball!! Organisation - SSG&apos;s - 4v4 / 5v5 depending on numbers. Have balls around the pitches to keep the games flowing. 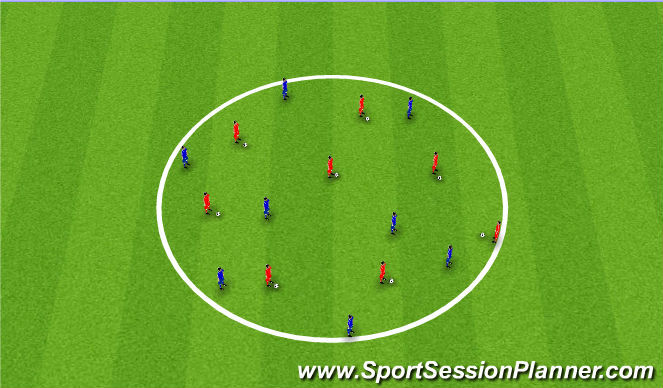 If the ball goes out player can pass or dribble the ball on. To win the game have to score all the types of goals on the checklist. Once a player has scored that type of goal they tick it off the sheet. NO Goalkeepers, use mini target goals. Organisation - 3 Teams of 3. One of the coloured teams is the defending team. The other two teams are trying to see how many passes they can get against the defending team in a limited time period. When the defending team wins the ball they try and keep it for as many passes they can against the 2 attacking sides. 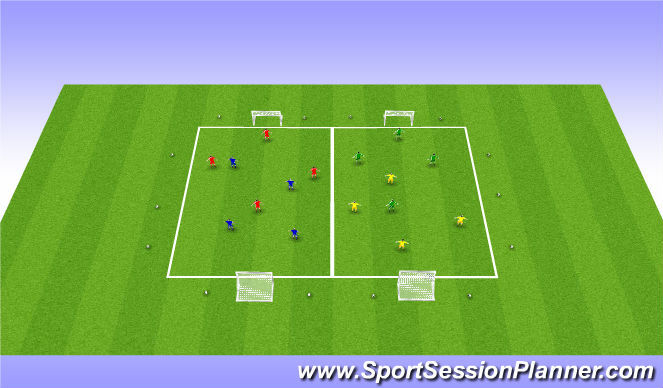 Organisation - 3v3 game teams can score in any of the 3 gate goals opposite them. Players score by passing to target player through the gates.